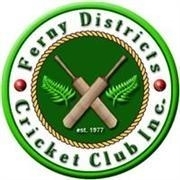 Managers Resources | Ferny Districts Cricket Club Inc. The role of the team amanager is mostly to support the coach and ensure the team environment is well supported with good team and club communications and completion of specific administrative actions as required. This involves things like ensuring the team has a copy of the draw, team and club email communications, manage parent contributions like scoring, umpiring and refreshments, and links in with club activities such as raffles, photo days and other functions as required. Managers may also complete MyCricket entries depending on the Coach's desire for this. Ensure you make every parent aware of the club’s Parent Code of Conduct. At the beginning of each season the club hosts a Coaches and Managers Night as an introduction to the clubs procedures and policies, akin to an induction session. Previous sessions have generated the following helpful information to assist managers. PARTICIPATION: The primary objective for the club and its teams is 'active participation'. The focus is to build the junior players skills and to have fun, and less on the score or result in the earlier age groups. Up until U10 age groups, everyone will get equal time batting and bowling regardless of their level of ability, and everyone will be considered an equal member of the team. PROTECTIVE EQUIPMENT: Every player is expected to wear the protective equipment provided when playing to avoid injury and maximise their enjoyment. This includes: when batting both pads, a box, both gloves, and a helmet. The wicket-keeper must wear a helmet when standing 'up to the stumps'. PROTECTIVE BOX: It is recommended that parents purchase a box (about $10) for their child's own personal use when batting. To assist in wearing these players can wear two pairs of underpants to training and games, or buy purpose made underpants for fitting the box. These are available from cricket gear retailers. This ensures the box stays in place. SUN PROTECTION: Please ensure that your child has sunscreen applied before the Saturday morning games. The broad brimmed sun-hat with Ferny logo is available from the kiosk during the season. UNIFORMS: On match day, players are encouraged to wear the clubs long or short sleeved shirt, long white pants, club hat or cap, and sneakers (preferably white). UMPIRING: Umpires for each match will be drawn from the parents, coaches, managers of both teams. When the ferny team is fielding, the coach generally umpires. This particularly helps in the younger age-groups to help control where players stand in the field. A second umpire is provided by the opposing team. When Ferny is batting, typically the coach coordinates the batting order on the sideline providing an opportunity for another parent (who knows the rules) to umpire. RULES: There are specific rules for the various age groups. Rules are imposed to ensure even participation in younger age groups and more significant rules such as LBW and 'out when you're out" are introduced from U11. Anyone who wants to umpire and/or score will need to know these rules. Refer to information above on the Scoring and Rules Schools offered by Ferny's Statistician in the week leading up to the first game. KIT BAG: The club provides a full kit bag complete with practice balls, protective equipment, stumps and bats. Thus, players don't need to bring their own stuff ( although purchasing a box is recommended) but they are most welcome to use their own gear in training / matches. Please make sure players gear is clearly named if they bring their own. The club will replace any damaged kit gear and Ian Lewis is currently the Clubs Equipment Coordinator and can be contacted (see club committee contact page) regarding any equipment issue. BLUE CARDS: The Coach, Manager and Scorers are advised to obtain a Blue Card. Generally it is not required if you child is in the team, but having one covers team contact when your child is not present. If you haven't got one already then application forms can be obtained from the Cover-Point Kiosk (Contact Blue Card Coordinator Geoff Cowles) or you can do it on-line from the following: http://www.ccypcg.qld.gov.au/bluecard/index.html . One of the main issues raised is that it is important to share all the duties surrounding the game. The more active the parent group in this regard, the more enjoyable the season and game-time will be. Coaching Assistants: Each week there is only 1- 1.5 hours to coach the team of up to 13 players. To get the most out of this, coaches need to pre-plan the session and arrange for a number of skill development drills and activities. It is best to avoid relying on playing a game for the full session because players often miss out on contact with the ball and spend much of their time fielding. This reduces the effectiveness for many where contact with the ball should be maximised- catching, bowling, hitting, throwing. This is best achieved by breaking into small groups. Having assistance from other parents to run these groups and/or help maintain focus will result is more productive sessions regardless of the age group. Kit Bag Coordinator during game time: Role is to keep the kit together on match day so it doesn't get spread all over the place and gear not being there when needed. Also helps to ensure the next batter is "padded up" and ready to go. Umpire: Generally left to the coach, but parents can assist during batting. Scorer: This is a very important role. It is recommended that anyone who wants to score should attend "Geoff's Scoring School", to be held in week of 7-11th October leading up to the first game. It helps if scorers bring their own pencils, eraser, calculator, and chair. Sometimes shade structures aren't available at grounds and the team should look to provide a portable shelter for the scorers. They need to be looked after!